Haha that pop tart thing cracked me up. 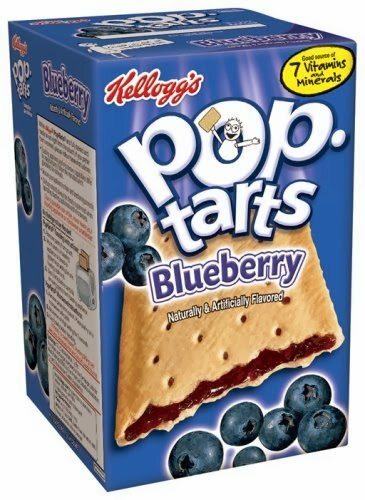 Pop tarts are so gross, I'd go for the normal blueberry tart any day! I promised I tried to review the book. But, you know, I'm also being educated on POP TARTS. YOU'RE the one who calls themselves "loony". I am perfectly sane. (Perfectly, here, being a word which means "not at all" but whatever). But a specialty lolly shop sounds kind of interesting. Remind me to visit you. OH YES I AM SO WITH YOU. So far, I prefer the movies…but I DO like to transfer my obsession to written books as well. XD And Americans are kind of funny about their strange foodish-things. *shudders* They can keep their pop tarts. Okay, I have to know. WHERE do you get all these awesome GIFs? I would love to use some for my blog because they are so entertaining. Is there some sort of GIF library? Do I just right-click the GIF and press "Save Image" or is there some other way? Sorry if I am being pesky but you always have the best GIFS. Google!! I just google key words like "GIF xmen wolverine", then pop over to "images" and there they are! Then I click "view image" (not the go to page one) and copy and paste it to the blog. You CAN save them and upload them too! (Which I've done, to stop them disappearing.) You're not being pesky!! Pop-tarts are rather icky, you aren't missing anything. Well, that's a relief I must say. Ah, poptarts. Like any processed food they're kind of a guilty pleasure, at best. My kids love them. I loved them as a kid. Now, I can think of a lot of things I'd rather snack on, but I sometimes grab them 'cause they're easy. I actually wanted to comment because I think blueberry is one of the worst flavors. My husband told me when he was in Iraq one of the foods available on his base was poptarts. They would come in three flavors, but by the end of the first week only blueberry was left because nobody wanted that one. He also won't eat skittles because they come in so many MRE packets, apparently, and he's sick of them. So poptarts and skittles=military unwanted junkfood. Ew, I can understand your husband's feelings on blueberry ones. Gross. Fiona (in the book) only EVER ate blueberry poptarts….every breakfast. Sometimes for snacks. I'm not sure how she didn't get sick of them. I think I don't really envy you guys for them at all though. I didn't know Austrailla did not have pop tarts – I love S'mores pop tarts – way better than fruit ones! Australia doesn't really have s'mores either. But I have American relatives who've introduced me to s'mores, and I must say they're pretty dang delicious. I had a pop tart for the first time a few months ago, a cookies and cream one. We have a specialty sweets shop near us that stocks quite a lot of the Yank brands and novelties. They have almost a hardened icing layer on the outside, and I'm thinking yeah, not putting that in my toaster. So I zapped them instead. 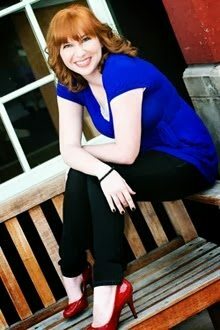 I tell you, if those are any indication, we're not missing much Cait. There's no way I could stomach one for breakfast. From what I read on the pop tart website, it described them as layers of sugar/icing. UM FOR BREAKFAST?! You can't go there…what about fruit? And toast? And normal, plain muesli or something? My mind quite boggles at America's foodish habits. We Americans are so weird and have weird things like Pop Tarts. . . Believe me, you aren't missing much. 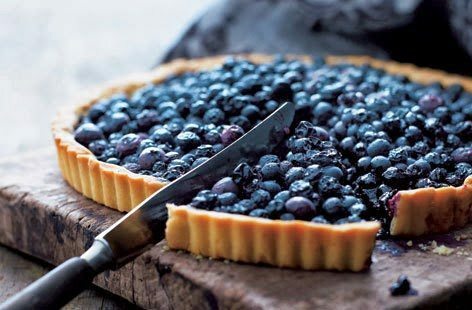 True blueberry tarts would be much better. It's so sad. They do work when you need breakfast on the go, though. But, really, they're. . .how does one describe them? All I'm getting is "sugar things." Apparently I'm not a master of description this morning.And I agree with the covers! 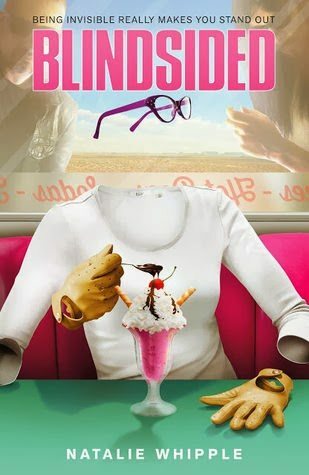 The Blindsided cover disappointed me so much. 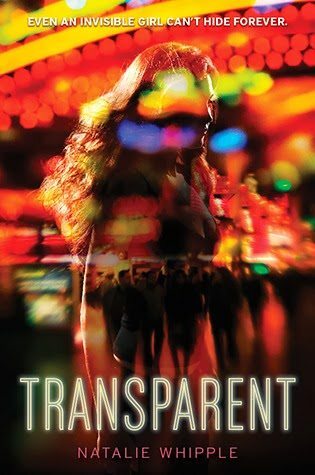 The original cover to Transparent is really what caught my eye to begin with. The new ones put me off a bit. Maybe because they look like they're for pre-teens, but I don't really know. I enjoy books for pre-teens. *shrugs* Maybe it's the fact that they don't look too serious and make me think of that cartoon my brother and I watched when he was three or four, Bob The Builder. I think he had gloves kind of like that. "Sugar things" is probably a pretty good description (if looks are anything to go off, anyway). *shudders* You can keep your pop tarts. I will keep my NORMAL AUSTRALIAN FOOD. I know, right?! I think a Blindsided cover in that same style, but with maybe blue pixalated dots and everything? That would be eye-catching. I think the covers look like some mix of baby-sitters club and a cartoon. They're just not delicious. Not at all. Ah, yes, Bob The Builder, I can see that happening with the gloves. I just WISH that's what pop-tarts were. That would be the best breakfast EVER. (But seriously, I've made tarts like that, and they take waaaay more effort than unwrapping a pop-tart.)Ewww. Cover hate. WHY DON'T THEY MATCH? You could always hope your super-powers come in as cool-tart-making-powers. We could call you Super Tart Woman. It would be epic. You could send me tarts. AND YES. WHY DON'T THE COVERS MATCH?! WHY. WHY. I can personally say, brown sugar pop tarts are YUMMY. It's like, I dunno, eating a slice of the best thing in the whole universe.I really want to read Transparent and Blindsided. They look really fun! See, that's why I particularly dislike the covers. Maybe I think they're dorky (but that might fully just be my opinion), but I feel like they're misleading as to who the book's intended for! That. is. confusing. Books shouldn't be confusing. You don't know pop-tarts? (I have no right to say anything, because I only got introduced to it two years ago while I was spending my summer in America) but still, those are delish! and probably really unhealthy… but still soooo yummy! What you imagined it to look like, it kinda looks like a pie *which is even more unhealthy haha! * Anyhow, Love the review! (and the pop-tarts research!) I haven't read any of this author's books, and based on your review this one sounds like a fun book to read. That cover though… Nah, not really great. Yes, yes to the cover. But see, in Australia pies usually have pastry tops and tarts are usually left open. Soooo pop TART. But anyway. XD I felt like a much more knowledgeable person to have researched this foodish fact. I have to agree with you on expecting the cliches in superhero books particularly. *sigh* BUT WHY?! Can't we have original things? Like a) no army and b) no cure. Hehe…I don't ask for much, do I? I DO particularly like how she called the boyfriend out. He's mostly so nice in the book, but he had some serious flaws and when their relationship went on the rocks I DID totally blame him. I think he needed a hi-five in the face with a chair at times. WHAT WHAT WHAT. POP TARTS ARE AMAZING. They don't look that good but they are freaking addictive and come in so many flavors and asdfghjk xD I gave the first book three stars and thought it was okay so I may check this one out someday, although the cliches sound kind of frustratingly repetitive for the genre. I agree about the covers. Total MG covers. I rated the first book 3 stars as well. BUT STILL. It gets better. And I just loved the world. It was like coming back to an old friend…and it'd been like, what? 12 months? Oh well. It was a young old friend. Pop tarts are so disgusting! Also, I agree that the covers are really weird. They make the book look like it will be cheesy and horrible. I always feel bad when the book's cover gives the book a bad reputation. I'm glad you enjoyed it! I don't know that I would have, because I don't think I could have gotten over/ handled the major cliches you mentioned. I mean, I really can't take SIDES with the pop-tart war because I haven't actually eaten any before. BUT STILL. They don't look delicious. Yup, exactly. I don't know why they opted for those weird ones. They should have consulted me first, and I'd have helped them out. I'll let you keep your childhood pop tarts and I'll think about my childhood vegemite. Oh, don't worry, I totally believe you. Really interesting book Cait, I haven't heard of this series before and the cover is very different. It does remind me more of a MG book than anything, but yeah superheroes are always good. You can find pop tarts in those American lolly stores or Blockbuster (the ones that are still open anyway). They were an interesting experience but super unhealthy.